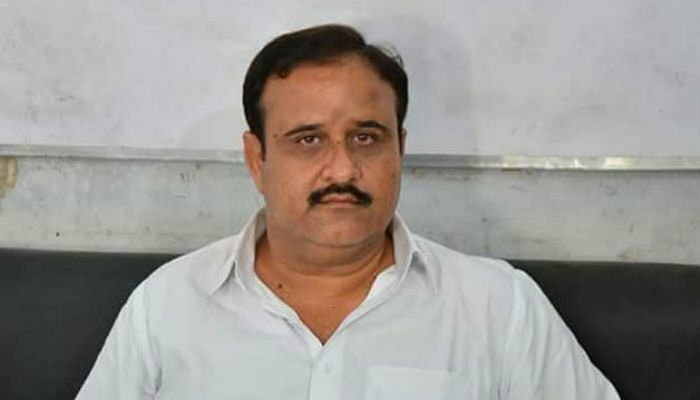 LAHORE: The family of a teacher murdered in Taunsa Shareef, allegedly at the hands of Punjab Chief Minister Usman Buzdar’s relatives, have claimed that the latter and his family are influencing the ongoing police investigation. According to details, Umair Nutkani, a teacher at Taunsa Academy, was tortured to death and his body was found at the educational institution. Taunsa Academy is reportedly owned and administered by the uncle of CM Buzdar, while the primary accused Tahir Buzdar is also a close relative of the CM. Nutkani’s body was found on October 8 with visible signs of torture and trauma, after which his family attempted to go to the police. A First Information Report [FIR] was registered on the same day, however the family has claimed that the police initially tried to pass it off as a suicide. The FIR, in which the victim’s father is the complainant, says that Tahir Buzdar called him and told him of his son’s death in an ‘accident’ and told him to go collect the body. However when they reached the area, Nutkani’s body was found to have been tortured via electrocution and beating, the family alleged in the FIR. “Police tried to shut this case by declaring it as a suicide but on the protest of the family, they eventually lodged an FIR. “The accused in the case are being treated like guests by the police” alleged Sammar Abbas Rind, the brother-in-law of the victim in a post on a private group on social media. “We also have concerns about investigators and the Circle DSP who too belongs to the Buzdar family” the post went on to say. Meanwhile, Taunsa police have refused to comment on the case, saying that it is still under investigation and also refused to share how far the investigation had reached. The Station House Officer (SHO) Taunsa City also did not respond despite multiple attempts to reach him. The case’s investigator, Assistant Sub-Inspector (ASI) Muhammad Hanif, was initially evasive and stopped attending his phone. The police spokesperson Nayyab Haider was also unavailable for comment. The CM’s office also did not respond to multiple attempts to get in touch with them.